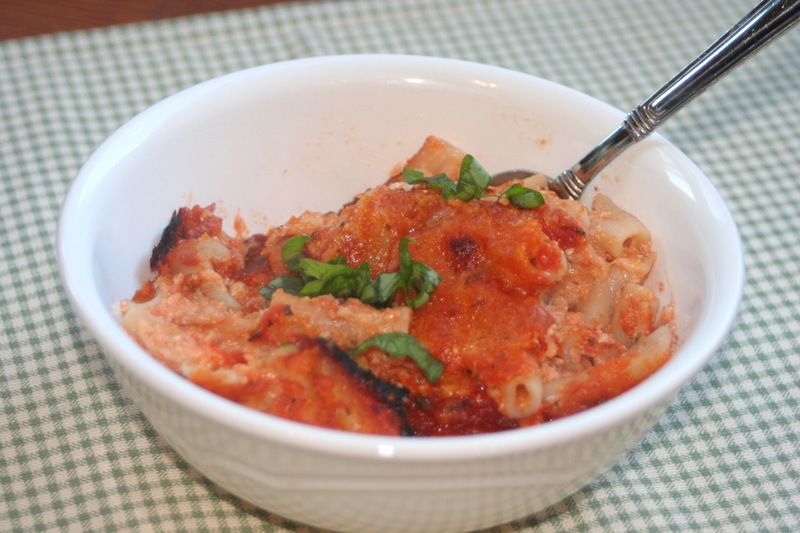 My family loves Italian food, so what better dish than Baked Ziti for a great fall meal? 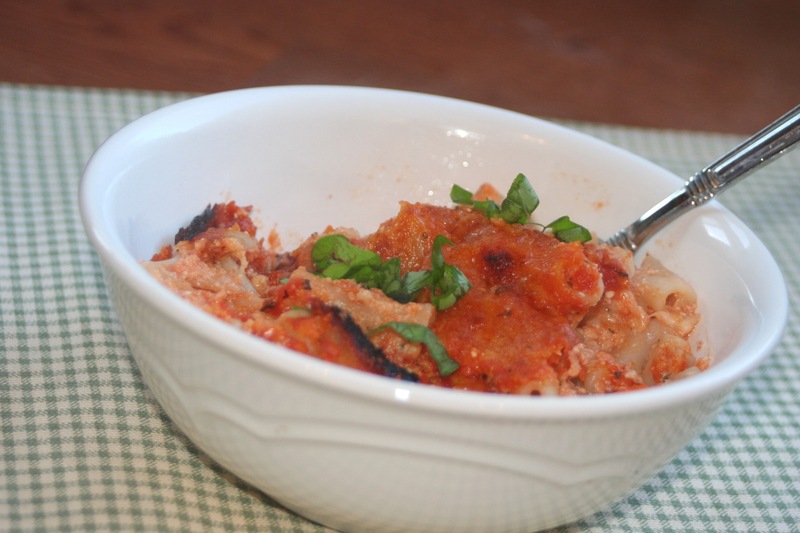 This recipe is so simple and the results are so flavorful. It is also a great meal to make and then freeze half of for a later date when you are in a hurry. I found the base recipe on Allrecipes.com and modified it to be gluten-free. Bring a large pot of lightly salted water to a boil. Add ziti and cook for 7-8 minutes (you want it to be a little undercooked so it doesn’t get mushy in the baking process; drain and rinse. 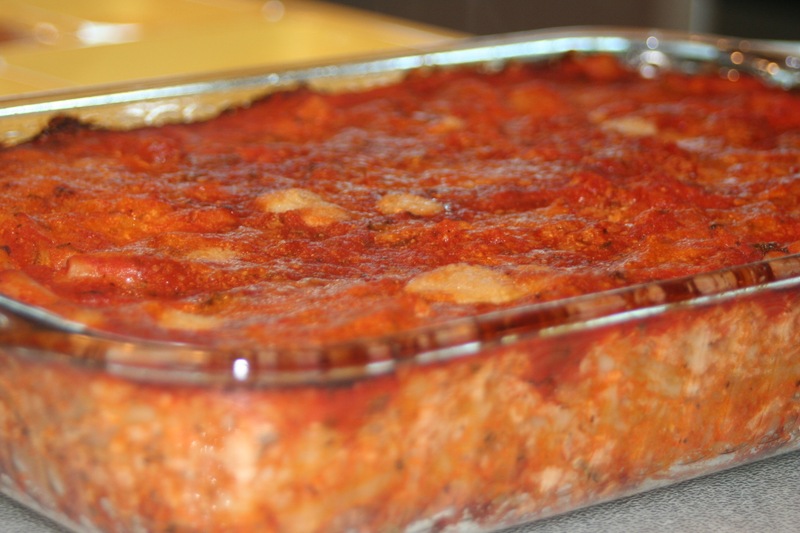 Lightly grease a 9×13 inch baking dish and spoon in ziti mixture. Top with remaining spaghetti sauce, followed by Parmesan cheese. Bake covered in preheated oven for 30 -40 minutes; broil uncovered for 5 or so minutes; let stand for 15 minutes before serving. Jon said that he liked this better than lasagna!!! That is quite the compliment, as he is always asking for lasagna. Don’t tell him, but this dish is much simpler to put together. 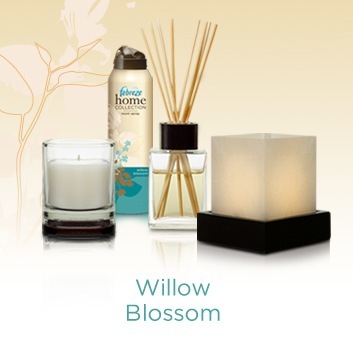 Don’t forget to enter my Febreeze Home Collection giveaway! You have until Wednesday at midnight! Febreeze Product Review & a Giveaway!! 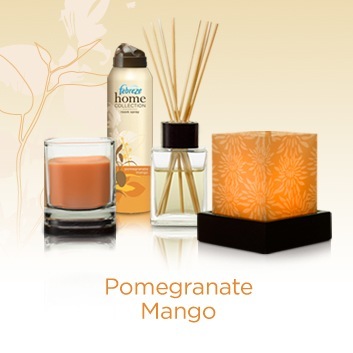 Green Tea & Citrus Flameless Luminary and three refill shades (Pomegranate Mango, Cranberry Pear & Willow Blossom), to let a flickering light shine through to accent your room with scent and style. I loved the idea of the flameless luminary because I have young kids or really, just kids in general who don’t always pay attention. I can get the same effect as a lit, flickering candle without the danger of someone getting burnt or my house burning down. 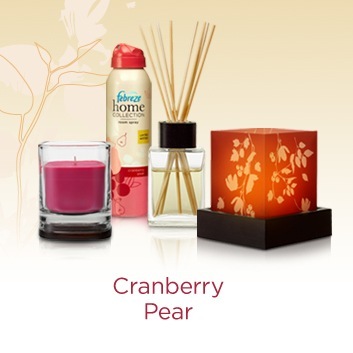 😉 The Green Tea & Citrus scent is nice, but I prefer the Cranberry Pear. The candle emits a nice amount of scent, but it not overpowering. It seemed to burn evenly each time I lit it. I like the decorative glass & wooden lid that comes with the candle. You can use the lid as a base as well. 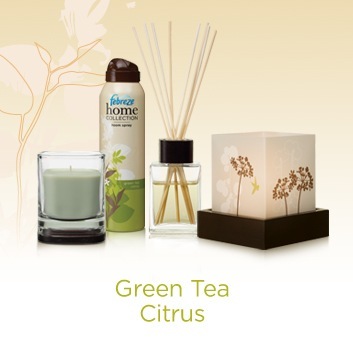 The room spray is a bit overpowering at first, but definitely helps rid the area of any odor that was there. I am thinking about using this for Jon’s hockey bag, though I am not sure he will appreciate that. LOL! One thing I did like is that you don’t have to spray a whole lot to get the effect you are looking for. I placed the reed diffuser in our bedroom. I don’t like to light candles in the bedroom because I am afraid I will fall asleep with them lit. I also haven’t had much luck with the plug-ins, as the scent seems to disappear after a couple of days. I was happy with this reed diffuser. The scent is not overpowering & is subtle enough to be able to tell there is a pleasant scent present. The one thing I didn’t like was that wooden lid doesn’t really attach to the glass….it just sits on top of the glass. This could be a potential hazard for those with kids. I made sure to put mine out of reach of the ones who don’t know better. Now for the fun part! Are you ready???? Febreeze & MyBlogSpark have given me a $20 Walmart gift card to give away! All you have to do is leave a comment on this post and tell me how you would use the Febreeze Home Collection to spruce up a room (or hockey bag 😉 ). This contest will end Wednesday, October 6, 2009 at midnight! I will choose a winner first thing on Thursday morning. You can find coupons for Febreeze products here.